I am the latest change for Le Jalopnik. 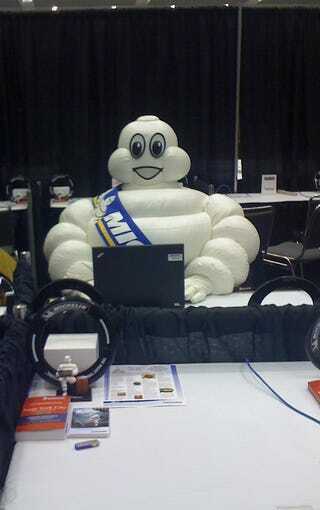 Je m'appelle Bibendum — the new guest blogger for Le Detroit Motor Show. I hail from France with many years — 115 — of experience in automotive and bicycle industries.